But life goes on, So…….. sing as well. At the New Christian Media Conference ….we were shown this clip in the Twitter seminar which is worth watching…. 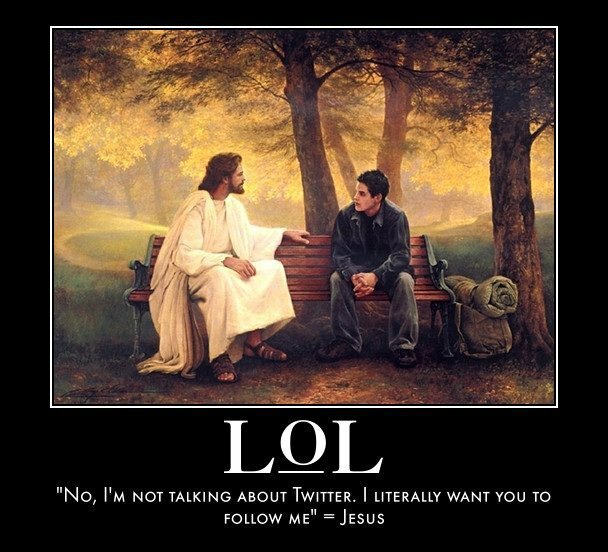 After the seminar we were asked the question: What Would Jesus Tweet? WWJT? I wonder…. She’s been gone a long, long time. She really needs to come home now! I really need to reach her but I simply don’t know how. Help me find the number please, Is it listed under Heaven? I can’t read these big words, I am only seven. I’m sorry operator, I didn’t mean to make you cry. Mummy said when we need help that’s where we should go. I’ve been given this to read at a funeral…. preserves the bonds between us. even at the cost of pain. Will we have a test on it? Blessed are all the concerned. When do we have to know it for? Will I have to stand up in front of the others? The other disciples didn’t have to learn this. How many marks do we get for it? and the other disciples likewise. Does not beauty shine forth behind the clouds? Does not light overrule the darkness? And when the clouds part, does not a banner of hope come forth? A candle in the dark. At the sight of such beauty and hope?